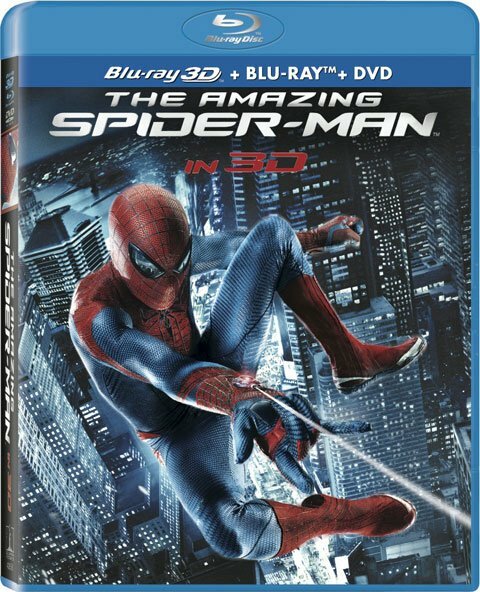 The Amazing Spider-Man is swinging on to Blu-ray and DVD on November 9 in an overloaded set that will come with over 90 minutes of extras and a 3D option for fans who have invested in the TV technology. There’s so much going on with the extras, the additions look like they might bring more to the table than the film itself, perhaps proving too much is rarely a bad thing. The Amazing Spider-Man probably got as much buzz from the fact the flick was a recent reboot as it did for its budding and brilliant cast. No one knew if the reboot would be able to surpass or even equal the critical and monetary expectations of the Sam Raimi Spider-Man films. Marc Webb's movie ended up doing pretty well, though it had a slow start, eventually pulling in over $735 million worldwide. However, the flick’s bigger legacy may end up being the real-life romantic connection spurred in the film’s two leads, Andrew Garfield and Emma Stone, who are, by the way, super cute as Peter Parker and Gwen Stacy. Fans wanting to buy Sony Pictures Home Entertainment's The Amazing Spider-Man will get several options for the release, although a mention of a single-disc DVD release is conspicuously absent. Instead, fans can purchase a Blu-Ray and DVD combo pack, a 3D Blu-Ray and DVD combo pack, or, the mother of all releases, a Limited Edition gift set with all of special features and even a few collectibles for huge fans.